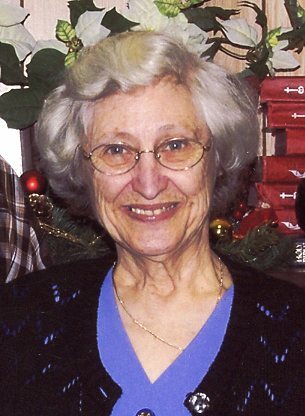 Betty Carlene Henson, age 81, of the Campbellsville Community, passed away peacefully at home Saturday, January 19, 2019, surrounded by family. Mrs. Henson was born June 16, 1937, graduated Campbellsville High School in 1955, and was longtime member of Marcella Falls Church of Christ. She was preceded in death by her parents, Carl Atlas and Betty Brown Woodard; sister-in-law, Faye Woodard; and brother-in-law, Grant Caldwell. She is survived by her husband of 61 years, Edward P. Henson; sons, Keith (Martha) Henson, Nathan Carl (Kristi) Henson and Steve Henson, all of Ethridge; daughter, LeAnn Tate of Murfreesboro; brothers, Maurice Woodard of Campbellsville and Frank (Sandra) Woodard of Ethridge; sisters, Molly (Tommy) Jester of Ethridge and Marilyn Caldwell of Tuscumbia, AL; grandchildren, Melissa (Thomas) Stephens of Lynnville, Brian Henson, Cora Henson, Laura Henson, Lindsay Henson and Eli Henson, all of Ethridge; and numerous nieces and nephews. Arrangements are being handled by Neal Funeral Home, 231 N. Military Avenue, Lawrenceburg, Tennessee. The family will receive friends from 4:00 PM to 8:00 PM Tuesday, January 22, 2019 at Neal Funeral Home. Funeral services will be conducted at Neal Funeral Home at 1:00 PM Wednesday, January 23, 2019, with Dan Edwards, Dalton Cole, and Jonathon Caldwell officiating. Interment will follow at John Lay Cemetery in Ethridge, TN. Family suggests memorials be made to The Pulmonary Hypertension Association at phassociation.org or The Diabetes Foundation at diabetes.org.